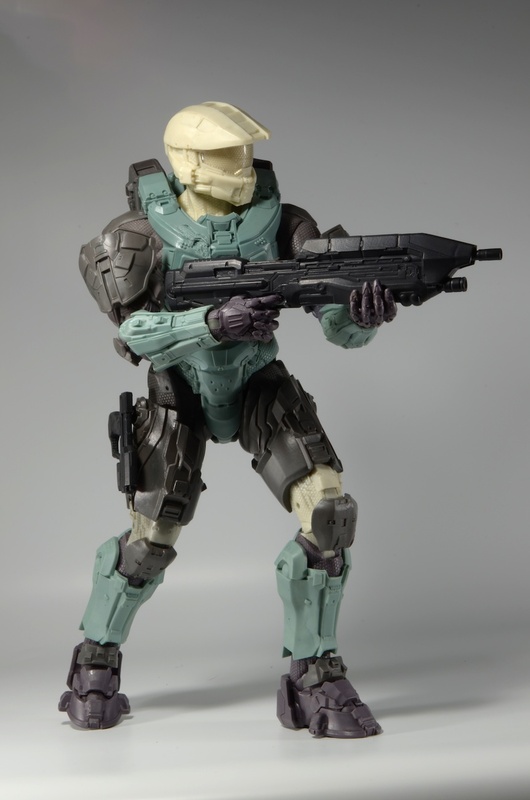 Behind the Scenes: Halo Master Chief 18″ Action Figure Update! 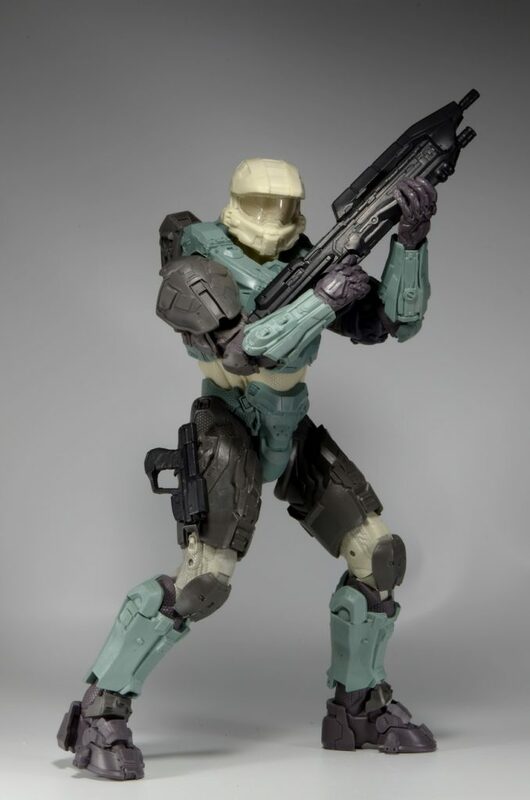 You are here: NECAOnline.com » Blog » Behind The Scenes » Behind the Scenes: Halo Master Chief 18″ Action Figure Update! 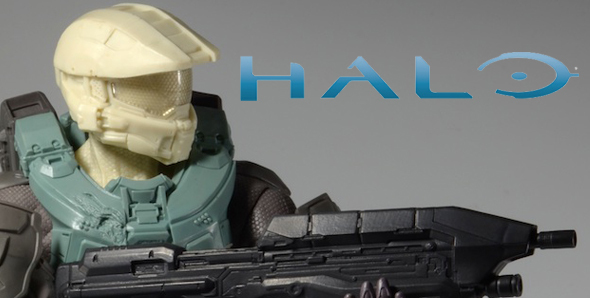 As promised in our recent reveal of the Halo Master Chief Motorcycle Helmet prototype, we’re back with another Halo update! 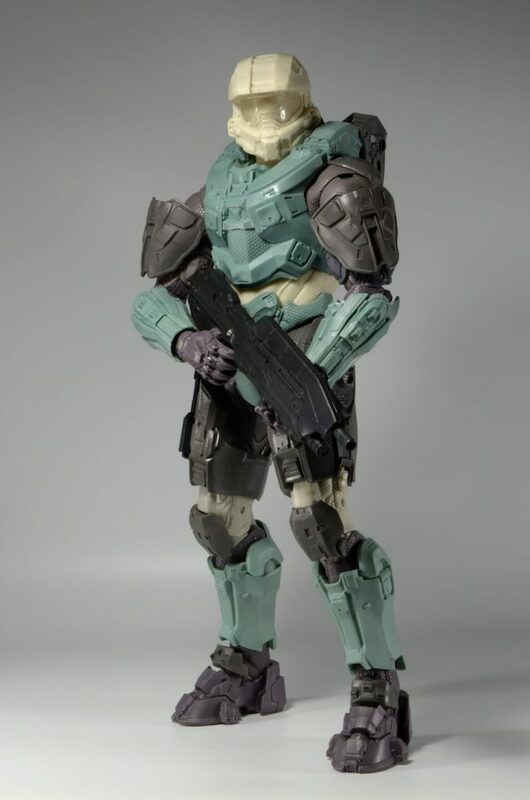 Today we’ve got behind-the-scenes photos showing the current development of the 18″ Master Chief action figure. 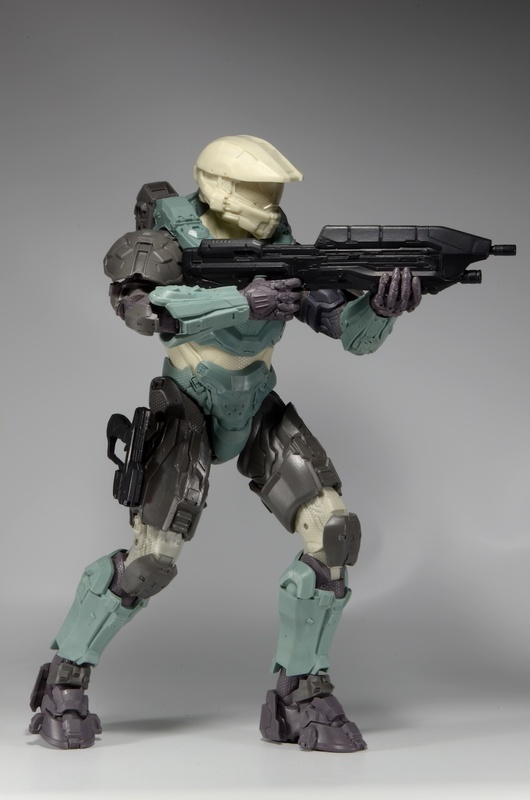 Check out the images below, then head over to Facebook or Twitter to tell us what you think! 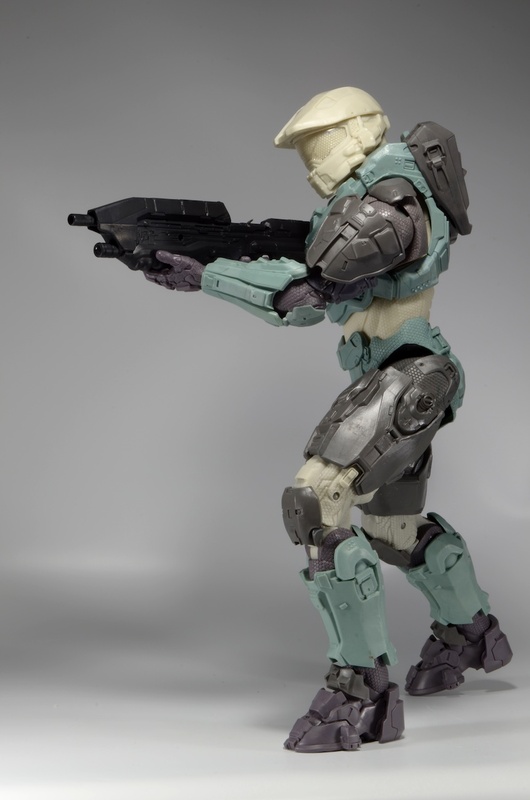 The last image includes a quarter for scale — giving you a sense of this figure’s impressive size! 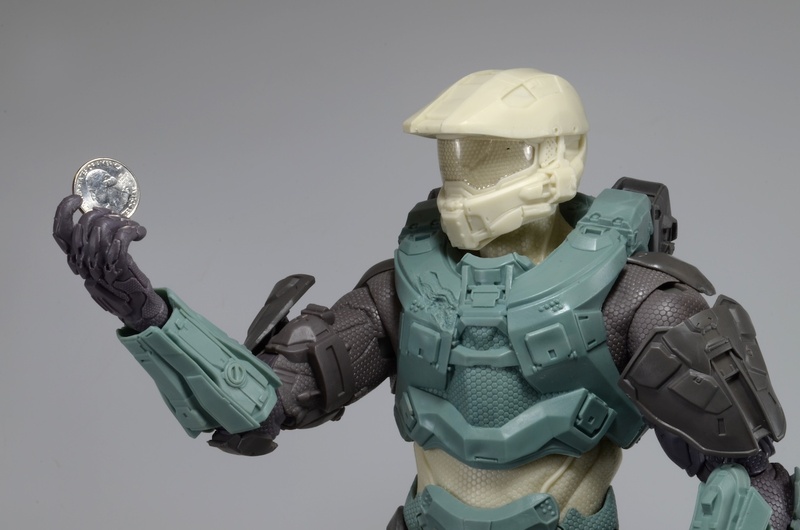 Master Chief Motorcycle Helmet Update: New Info, Photos and Packaging! 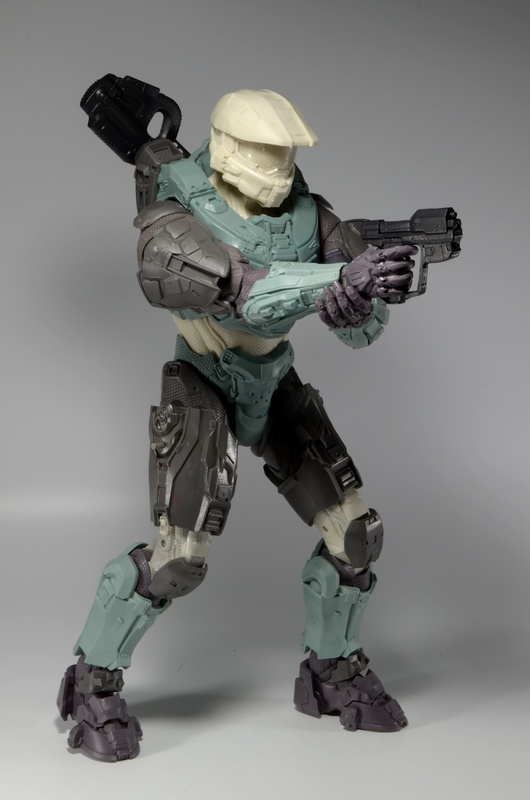 UPDATED: Pre-Order the Limited Edition Halo® Needler Replica Now!